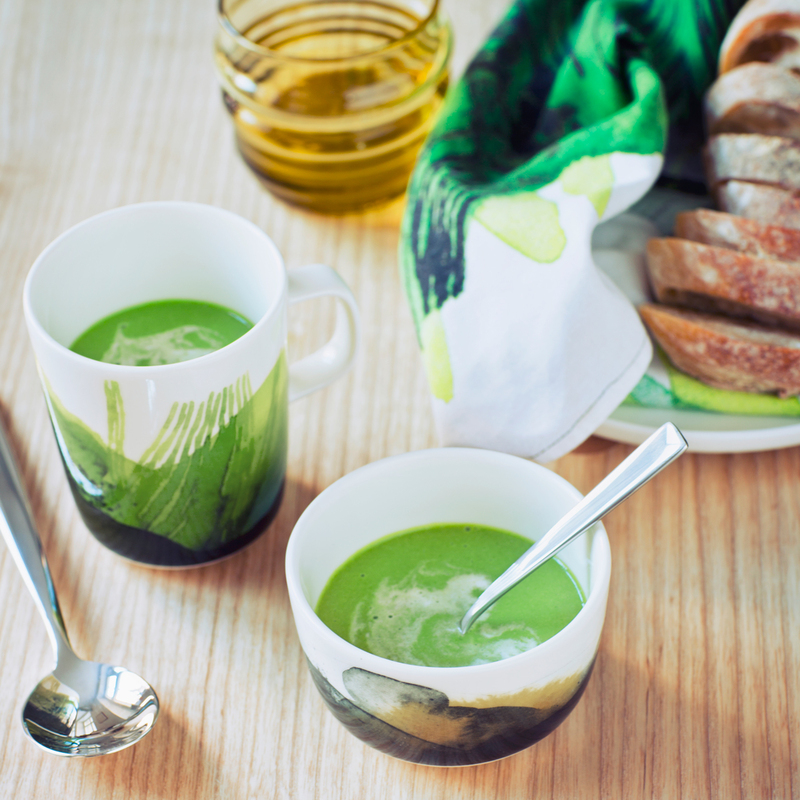 More about Marimekko Weather Diary White / Green Mug Enjoy your morning coffee or afternoon tea in the Marimekko Weather Diary White/Green Mug. 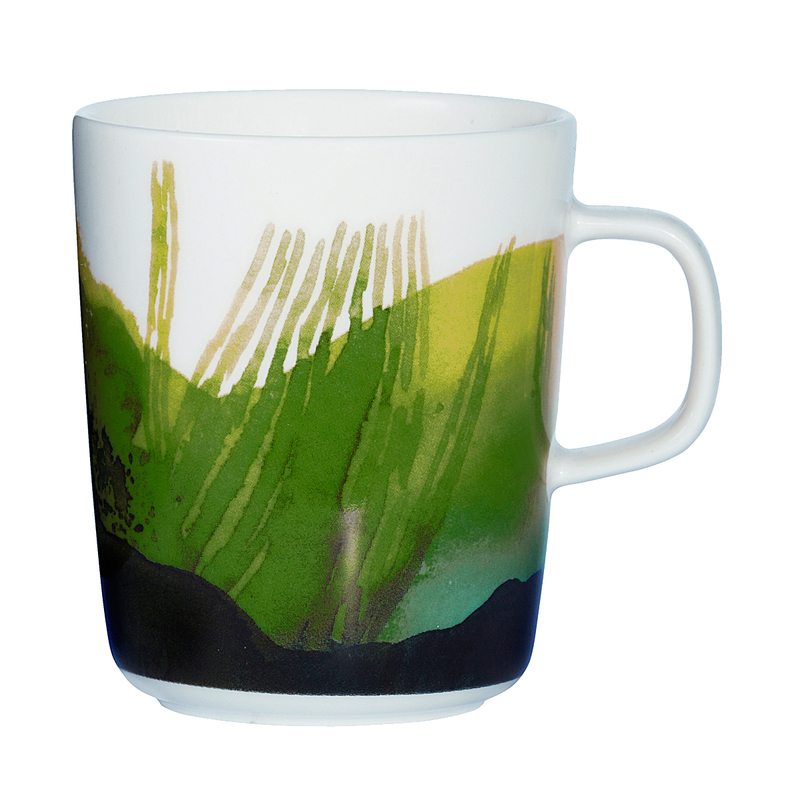 Inspired by seasonal weather changes, the Sääpäiväkirja (Weather Diary) pattern that adorns this porcelain mug is an abstract portrayal of the lush landscape of the Finnish archipelago. Stunning hues of green and blue effortlessly blend together like watercolors for an artistic way to start your day. The porcelain is microwave, oven, freezer and dishwasher safe so you can sip sensibly and stylishly daily. My sister adores her new mug! She chose it from among your tremendous selection of mugs! Beautiful mug with stunning design. Size is a little small for a mug, also pricey. Love the mug's colors and the white is very white. Would have liked the handle to be a tad bigger so 2 fingers fit in comfortably. Good size for your morning coffee. The finish is first quality. The Weather Diary is my favorite dinnerware line. Mug perfect size for morning coffee without being too big. 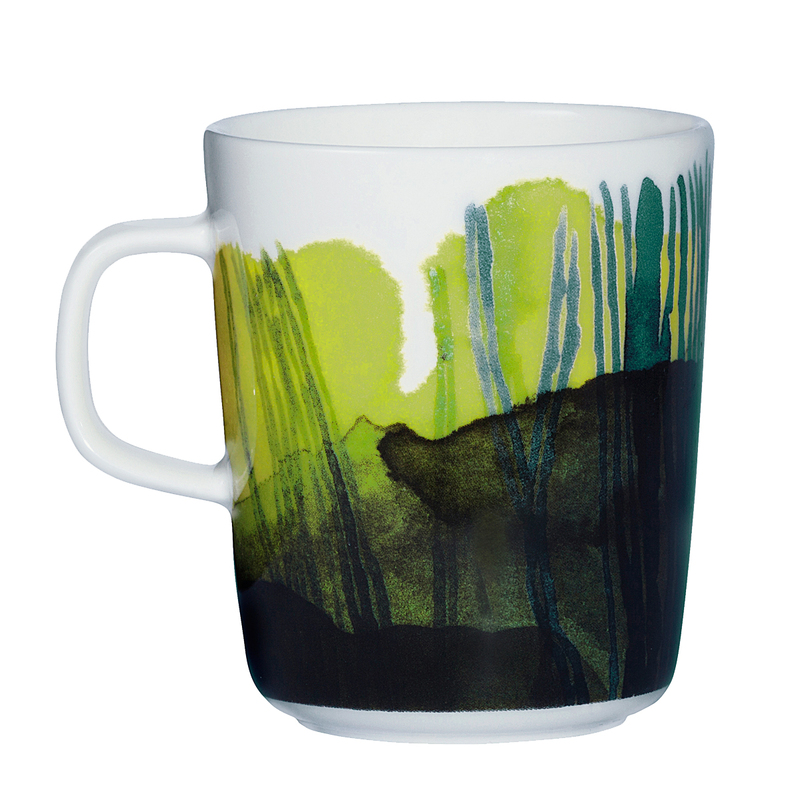 I have a couple other Marimekko mugs in this size and I love these, too. Perfect for a small cup of coffee. This pattern is lovely - rich and vibrant. I highly recommend! This is my new favorite cup to start the morning. I love the Marimekko porcelain -- such a great feel in the hand -- and the design is great too. Wish I had a bunch more of this and the other pieces in this set. ProsGreat size. Fits so nicely in the hand. Lovely dense porcelain. Very nice mug to drink coffee from. 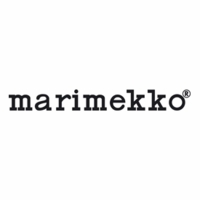 As always, a beautiful design by Marimekko. I love the mug. It has a great handle and is sturdy. The design is wonderful! 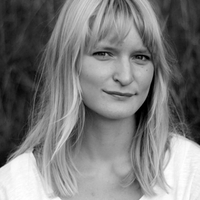 Marimekko Weather Diary defies convention, with unsubtle representations of weather - fierce-to-calm. We are fans.